Now that Beyoncé and Jay-Z are off the road, another power couple is taking their place: Hillary and Bill Clinton. The Clintons announced Monday they will visit four cities in 2018 and nine in 2019 across North America in a series of conversations dubbed "An Evening with President Bill Clinton and former Secretary of State Hillary Rodham Clinton." It is being produced by tour promoter Live Nation, the company behind Michelle Obama's massive tour to promote her new book as well as tours for Beyoncé, Taylor Swift, Bruno Mars and other music heavyweights. The Clintons will hold joint conversations at the shows and share "stories and inspiring anecdotes that shaped their historic careers in public service, while also discussing issues of the day and looking toward the future," Live Nation said. Tickets go on sale Friday at 10 a.m. The Clintons will kick off the trek Nov. 18 in Las Vegas at 5,200-seat Park Theater, the home for Cher's residency and where Lady Gaga will launch her own residency later this year. They will visit Toronto's Scotiabank Arena on Nov. 27, Montreal's Bell Centre on Nov. 28 and Smart Financial Center in Sugar Land, Texas, on Dec. 4. "Attendees will have the opportunity to hear one-of-a-kind conversations with the two leaders as they tell their stories from some of the most impactful moments in modern history. From the American presidency to the halls of the Senate and State Department, to one of the United States' most controversial and unpredictable presidential elections, they provide a unique perspective on the past, and remarkable insight into where we go from here," Live Nation said in a statement. 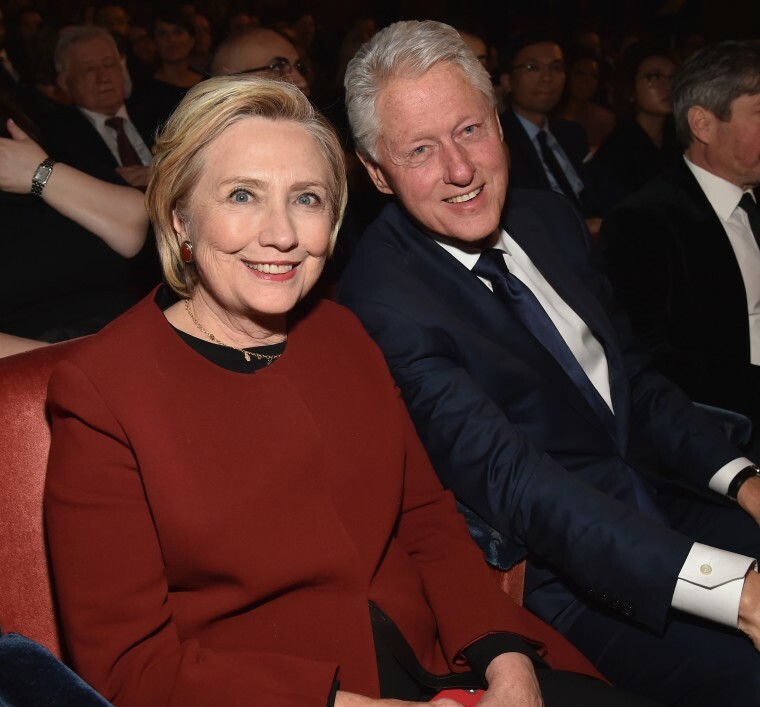 The Clintons' first show next year will be April 11 at the nearly 3,000-seat Beacon Theatre in New York, where the 2016 Tony Awards were held. The tour wraps May 4 at the Forum in Inglewood, California, where Drake and Migos will perform four shows next week, while others set to perform at the 17,505-seat venue include Elton John and Fleetwood Mac. The Clintons will also visit Philadelphia's The Met, Detroit's Fox Theatre, DAR Constitution Hall in Washington, D.C., and Opera House in Boston.